Let our experienced Tiler take care of all your kitchen tiling needs. 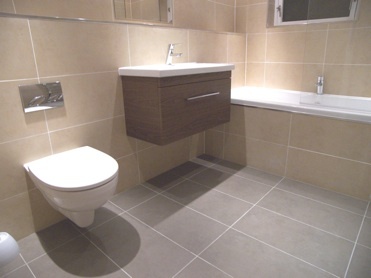 Wall and floor tiling are both carried out to a very high standard by Darlington Plumbing tilers to add that bit of class to the finish of your kitchen. The price is labour per square metre of tiling and grouting. We will upva-seal the walls to prepare for the new tiles, then fit your new tiles, grout the joints and finish with a silicone bead around the edges, where required.